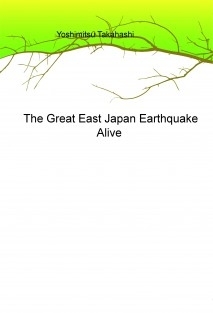 This is a vivid story of Great East Japan Earthquake. Even after I survived from an earthquake, I was wandering between life and death during my life in an evacuation shelter. I have to protect my own life by myself. I have no idea when tsunami would occur again. If worst, I need to live a primitive mode of life. At such time, you will notice that the happiest thing is to spend your daily life under ordinary circumstances. I am confident that this book is an expression deep from my heart for the future. I wish people could raise their awareness concerning education for disaster prevention and attitude in emergency, at school, company or home.